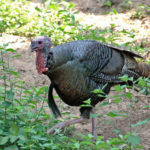 Editor’s Note: Editor’s Note: Since some states’ turkey seasons continue through the first part of May, and others don’t end until May 31st or even in June, we’re looking this week at more ways to take turkeys. 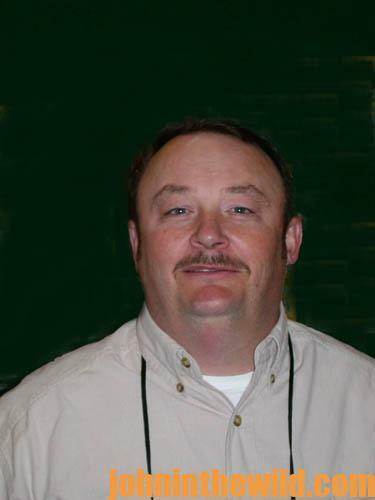 Alex Rutledge of Birch Tree, Missouri, has hunted and called turkeys for over 30 years. Question: Alex, when do you try to get as close as you can to a turkey on the roost? 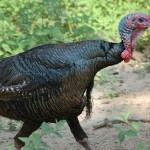 Rutledge: Every time I hunt a turkey in the morning. Question: I think it’s important we define close. Rutledge: I define close as within 75 yards of a turkey. When a turkey’s on the roost, I prefer to scout the terrain before I ever try to take that turkey. I’ll keep the sun to my back when I call to the turkey from the roost, because the sun somewhat blinds the turkey. I can get away with more movement with the sun to my back than with it in the front or to the side of me. Most successful turkey hunters will put a turkey to bed the day before hunting, so they’ll know where that turkey’s roosting. 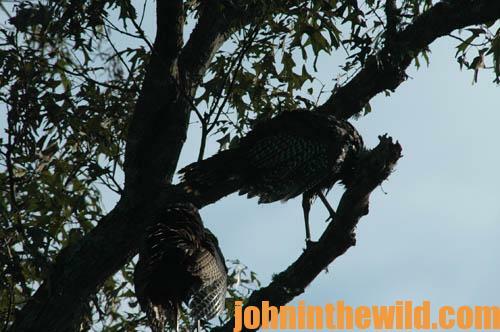 By knowing which tree the turkey’s roosting in the night before, the terrain around the roost tree, which direction you need to approach the roost tree, so when you sit down, you’ll have the sun to your back, and how you can get close to the turkey without him seeing or hearing you is how you put together a successful hunt plan before you ever leave the house. 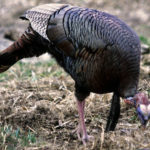 Another thing that can really put the odds of bagging that gobbler on your side is to talk to anyone who’s hunted that same turkey. Learn all you can about the bird. I’ll get to the place well before daylight from where I’ll call the turkey. I want to let the turkey gobble on his own at first light. I also want to listen to find out if there are any hens between my stand and the gobbler. 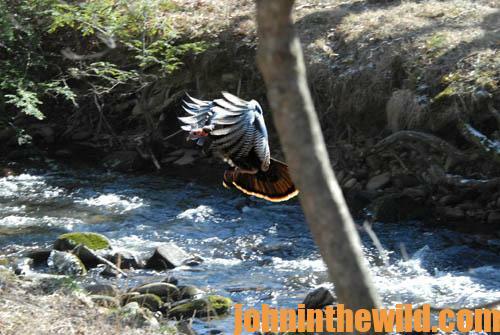 If the hens are within 100 yards of the gobbler, more than likely, he’ll fly to where the hens are located. If I have hens between me and the gobbler and within 100 yards of the gobbler, I’ll start calling to the hens. I’ll call with the same calls I hear the hens making. I always carry a variety of box calls, friction calls and diaphragm calls. I’ll use all these calls when I’m talking to the hens, because I want to sound like a flock of hens, not just one hen. When a hen starts to tree-call, I’ll start talking to the hens by calling to her, while she’s still calling. I want to interrupt her call with my call. Now, if I can get those hens fired-up, so that they fly toward me instead of flying toward the gobbler, then the gobbler will come to the hens. When you know there are hens between you and the gobbler, call the hens to you, and then the hens will call the gobbler to you. Question: Alex, if you get the hens to come to you and count on the hens to pull the gobbler to you, how do you keep those hens from seeing you? 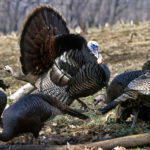 Rutledge: When I set-up to call to a turkey, I want to sit in front of a tree that’s wider than my shoulders or set-up with some sort of thick cover behind me. Then the turkeys can’t see my silhouette. I like to wear a headnet and gloves as part of my camouflage. I’ll also set a decoy up 10-15 yards in front of me, so that the hens are distracted by the decoy. Also, by having that decoy out in front of me, I can see any hunter who may wander into my hunting site before he even sees me. I also like to set up a portable ground blind. This way, I can move and use my friction calls without anyone or anything seeing me. Finally, when the hens come in, I sit as still as possible. As the hens move away from my location, the gobbler usually will come in to me. 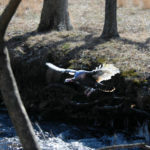 If I can tell that the gobbler’s drifting to my left or my right, I try to call the hens back to me, knowing that those hens will call that gobbler to me, regardless of where I’m located. I’ll hunt with a buddy who’s willing to call, so that I can set-up my decoy behind me. Then my buddy can call from 15 to 20 feet behind me to try to call the hens past me. This process will put the gobbler right in front of me. 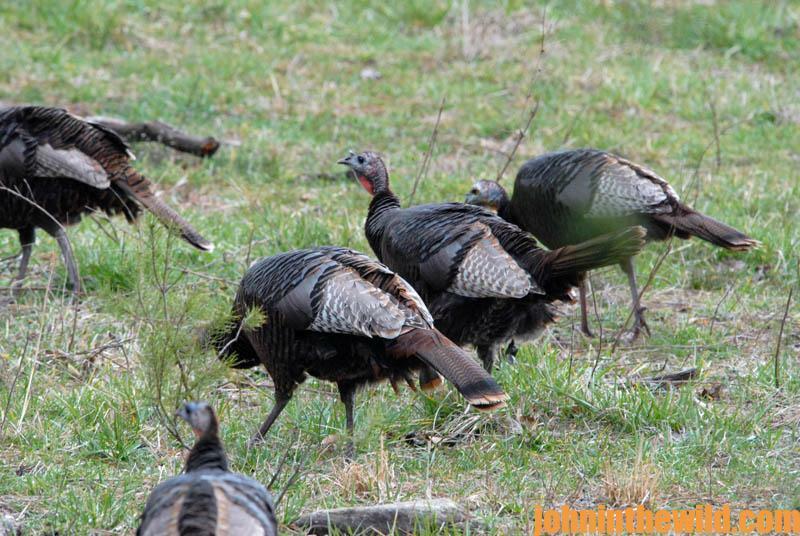 Buddy hunting is one of the best ways to take a gobbler that stays with hens all day. Question: When the gobbler comes in, Alex, how do you move to get your gun up to take the shot? Rutledge: When I start calling to a turkey and know they’re coming to me, I put my gun in shooting sticks, so that the gun’s pointing in the direction I expect the turkey to come from and is about the height from which I expect to shoot. 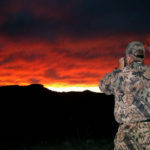 If you hunt with your gun in your lap and have to raise your gun when you take the shot, you’ll create so much movement that you’ll probably spook the turkey. I’ve found that you spook far fewer turkeys when you have your gun on your knee or on shooting sticks long before you see the turkey. Question: When do you know to take the shot, Alex? Rutledge: When I sit down to call to the turkey, I use my range finder to check the distance I am from several trees around me. Then I use those trees as landmarks. Now, when the turkey comes in and gets to or past my 30 yard tree, I know he’s within killing range. I’ve already patterned my gun, and I know what kind of pattern it will deliver at 10 to 20 yards. By knowing what distance I am from the turkey, I know I can make the shot when I present it. I like to shoot most of my turkeys when they’re at 20 to 30 yards, because I know that’s the range at which my gun patterns best. Question: What size shot do you use, Alex? Rutledge: I like the Winchester (http://www.winchester.com) Xtended Range HD No. 5 shot. I’ve learned that No. 5 shells pattern best in my Benelli (http://www.benelliusa.com/super-black-eagle-ii-shotgun) Super Black Eagle II 3-inch magnum. I know that when that shot goes through my choke tube, I have the densest pattern I can get to ensure a clean kill.